American Oversight today sued six federal agencies to uncover the extent of Jared Kushner’s use of personal email for official governmental business. The suit comes the same week as news broke that his wife, Ivanka Trump, used personal email to conduct White House business on hundreds of occasions in 2017 — which White House officials only discovered when a May 2017 lawsuit filed by American Oversight sparked an internal review. In September 2017, news reports revealed that Kushner, a White House senior adviser and the president’s son-in-law, used a personal email account for official White House business, exchanging hundreds of messages with senior government officials using accounts hosted on a Kushner family domain. Now, American Oversight is seeking to determine whether Kushner also used personal accounts to communicate with officials at agencies across the executive branch — including potentially classified communications with the Departments of Defense, the Treasury, and State. The lawsuit, which asks for the release of correspondence between agency officials and Kushner in which he uses any email address not ending in .gov, comes after the Departments of Defense, Health and Human Services, Justice, State, and the Treasury failed to provide records in response to the American Oversight’s FOIA requests. The Department of Homeland Security initially provided approximately 20 pages in response to the FOIA request, but failed to respond to an appeal challenging the adequacy of its search and its decision to withhold certain information. American Oversight has been investigating personal email use by White House officials for more than a year. 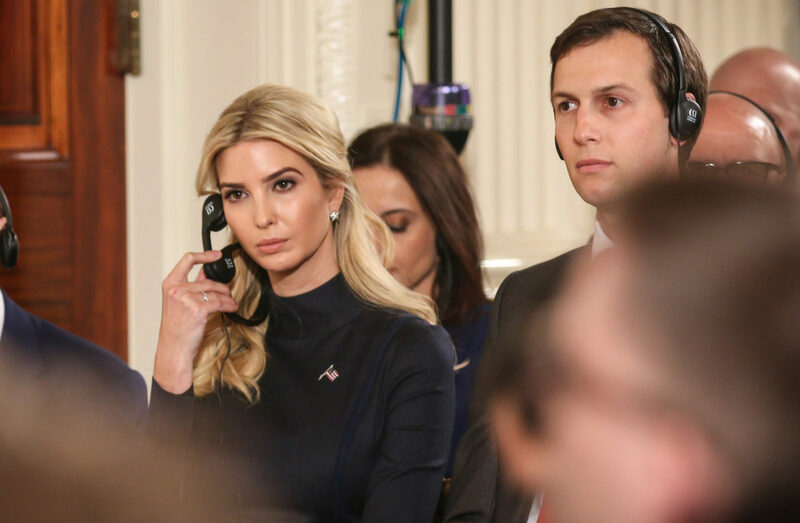 In May 2017, we filed a lawsuit against five federal agencies seeking records of senior officials’ communications with Ivanka Trump in order to shed light on the role that the president’s daughter was playing in the new administration. That investigation ultimately uncovered evidence that Ms. Trump used a personal email account to communicate with top government officials. According to the Washington Post, American Oversight’s lawsuit catalyzed an internal White House review of Ms. Trump’s personal email use, which found that she used her personal email account to conduct government business hundreds of times. Yesterday, American Oversight demanded a congressional investigation into Ms. Trump’s use of a personal email account, and members of Congress have since announced their plans to investigate the personal email use of her and other White House officials.